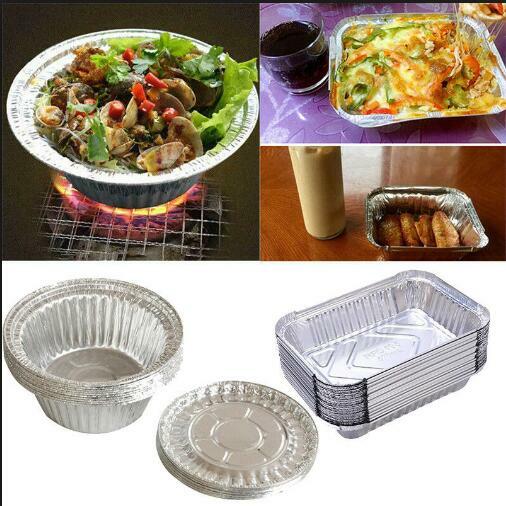 When it comes to the use of aluminium foil, you will think of the aluminium foil packaging. That is because we can see a thin layer of aluminium lunch box when we buy some food. But the use of aluminium foil is very extensive. Aluminum foil for air conditioning is a special data for the manufacture of heat exchangers for air conditioning. The early used alu foil for air conditioning is component foil. 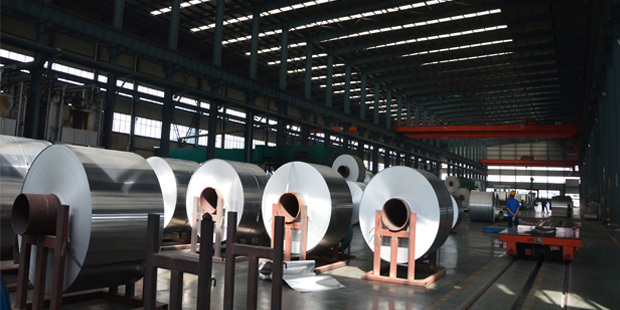 In order to improve the surface properties of aluminium foil, anticorrosive inorganic coatings and hydrophilic organic coatings were coated before forming to form hydrophilic foil. At present, hydrophilic foil accounts for half of the total air conditioning consumption, and its utilization rate will be further improved. There is also a hydrophobic foil, which makes the appearance of the fin hydrophobic and avoids the adhesion of condensation water. As hydrophobic foil improves the appearance of thawing technology, there is little production practice at present due to further research. The thickness of air-conditioning aluminum foil is 0.1 mm to 0.15 mm. With the development of technology, air-conditioning aluminium foil has a further refinement trend, and the thickness of the leading product of aluminum foil is 0.09 mm. 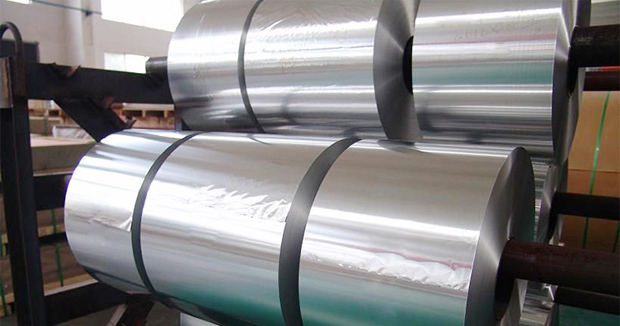 In the extremely thin state, aluminum foil has a good shape, its internal design and performance requirements are uniform, small metallurgical defects, less anisotropy, with high strength, good ductility, uniform thickness, good flatness. China is the largest cigarette producer and purchasing power in the world. At present, there are 146 large cigarette factories in China, which produce 34 million large boxes of cigarettes and packages of cigarette foil every year. At the same time, 30% choose spray aluminium foil, 70% use calendar aluminium foil and calendar aluminium foil. The consumption of calendar foil is 35,000 tons. With the improvement of citizens’health awareness and the impact of foreign countries on cigarette imports, the demand for cigarette aluminum foil increases. The total demand for cigarette packaging aluminum foil in China accounts for Aluminum foil, at present, two or three domestic aluminium plate manufacturers can produce high-quality foil, technical level and suitable for the world, but the overall quality of domestic foil and the world default value have a certain distance. Decorative aluminum foil uses decorative information through aluminium-plastic composite method. It has the characteristics of good color, high reflectivity, light and warmth. Mainly used in architecture, furniture decoration and some gift box packaging. Decoration foil in China’s construction industry has rapidly extended from Shanghai, Beijing, Guangzhou and other key cities to the whole country since the early 1990s. In recent years, the demand for decoration aluminum foil has increased dramatically. It is usually used as information for building walls and interior furniture decoration, and it is also used in the facade and interior design of commercial institutions. Decorative aluminium foil has the advantages of thermal insulation, moisture-proof, sound insulation, fire prevention, easy cleaning and so on. It has luxurious appearance, processing equipment and fast construction machinery. At present, China’s construction and home decoration industry has formed a trend of using decorative foil. With the rapid development of China’s construction industry and the continuous popularization of decorative foil, the demand for decorative foil will also increase greatly. In addition, the choice of decorative foil packaging abroad is very popular, in recent years in China’s rapid development, it is estimated that there will be better prospects. Cable aluminium foil is sealed and shielded with aluminium foil. It is coated on one or both sides, including aluminium-plastic composite foil, and used as cable shield. Cable foil needs less oil, no holes, high mechanical properties and low overall quality. 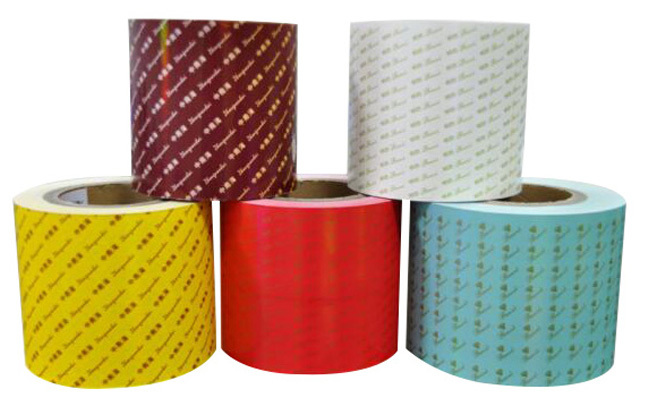 Aluminum foil tape, as its name implies, it is mainly made of aluminium foil, acrylic or rubber pressure sensitive adhesive.In generally speaking, aluminium foil tape has good adhesion, strong adhesion, fast heat transfer, good conductive function, moisture-proof, moisture-proof and chemical corrosion resistance. 1. Household aluminium foil material 8011 0 thickness 0.009-0.02 (mm). Aluminum foil tape can only be used in computer display, computer peripheral wire and transformer manufacturing, central air conditioning pipeline, smoking machine, refrigerator, water heater and other pipeline joints, wires, cables, precision electronic products, computer equipment, etc. In addition, it has good effect on electrostatic discharge after grounding; it can be used in electronic industry, aviation and automobile manufacturing industry, box industry, cold gas wrapping and pipes. Heat transfer, such as duct seal; cold steam pipe wrapping and pipeline sealing for refrigeration industry such as electronic industry and refrigerators. Where this really matters is when you’re using aluminum foil for cooking. Since regular aluminum foil is thinner than the heavy-duty version, it doesn’t stand up to high heat and weighty items as well. Heavy duty aluminum foil offers perfect protection against both high heat and freezing cold. Heavy Duty Foil is also available in a wider 18 inch roll, making it perfect for covering or lining larger roasting pans or making or folding larger foil packets. Aluminum foil rolls and sheets come in a variety of thicknesses, widths, and lengths. Manufacturers often make the width and length of the foil roll easy to find, but the thickness of the foil is often not advertised. Most manufacturers use terms like standard duty, heavy duty, and extra heavy duty to describe foil thickness. Finding the actual thickness from a foil box or manufacturers website is not likely. This type of heavy duty foil is thicker and sturdier than regular aluminum foil. It’s tough enough to stand up to high heat, heavy food items, and long-term storage in the freezer. Because of the extra thickness, it’s also a better choice for campfire packets. Regular /Standard Duty and extra heavy duty aluminum foil are made of the same material, but there’s a key difference: the thickness of the foil. Standard Duty Aluminum Foil – Most standard duty aluminum foil rolls are economical aluminum foil rolls for commercial and home aluminum foil sheets use. Home use standard duty foil rolls are often between 75 ft. and 250 ft. long, offered in a variety of widths. The majority of foil rolls labeled as “Standard Duty” are between .0004 thick and .0007 thick. Which at best is slightly over or one half of a mil in thickness. Heavy Duty Aluminum Foil – By far the most common aluminum foil used for home and commercial use. Most home users buy 75 ft. rolls of Reynolds aluminum foil or a comparable brand for home use. Heavy duty foil provides extra strength and tear resistance. Many cooks use it for baking, grilling, and storage. Most Aluminum foil rolls labeled “Heavy Duty” are between .0008 thick and .001 thick. The extra three thousandths of an inch makes a big difference for a variety of applications. In a word,This extra-heavy duty aluminum foil comes in a box with a standard cutting edge. It is good for use in cooking, serving and freezing food. Lining pans with roll before cooking makes cleanup easy. Use for grilling to lock in flavor and for freezing to prevent freezer burn. Material(s): Aluminum; Length: 500 ft; Width: 18 in; Packing Type: Box. 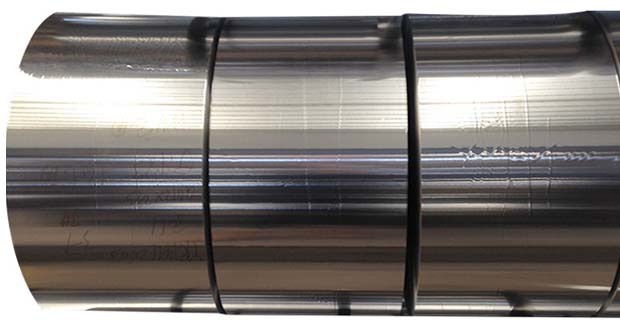 Aluminum foil pipe,provides excellent insulation: Reflects up to 97% of radiant energy in addition to resisting other types of heat transfer from conduction, convection and radiation. The two side anodized aluminum foil forms an effective barrier against moisture, air currents and vapors. 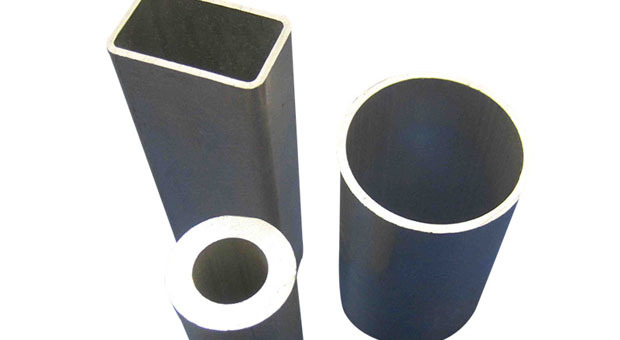 Application: Electromagnetic shielding, refrigetors, air conditioners,cars, subways, household decoration and other appliances. [Application] is widely used in Bathroom, cafes, offices, a gym, a restaurant, conference rooms, hotels, guesthouses and other indoor ventilation. What thickness is used for packaging aluminium foil? Generally, the thickness of packaging aluminium foil is between 0.03mm and 0.1mm. Due to the full insolation of the packaged goods from the outside light, humidity and gas, the packaged goods are well protected. Especially for the packaging of cooked food, the use of this composite aluminum foil material can ensure that food does not deteriorate for at least one year. Moreover, heating and unpacking are very convenient and popular with consumers. (4) If the aluminum foil pans itself is not volatile, the packaged food will never dry or shrink. Aluminum foil packaging can be tailored to different specifications and styles of packaging bags, mostly using four-layer structure, with good water and oxygen insulation function. Aluminum foil packaging surface will generally have reflective gloss, which means that it does not absorb light, but also uses multi-layer production. 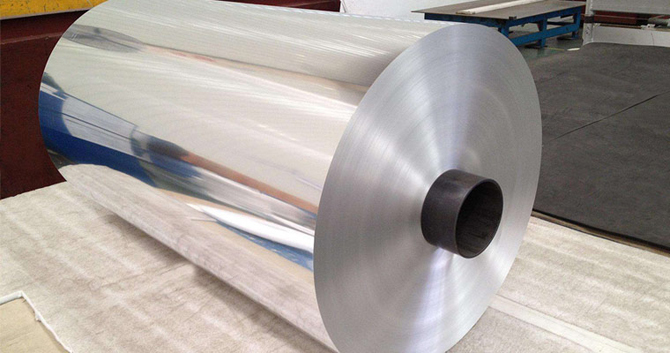 Therefore, aluminum foil paper not only has good shading, but also has a strong isolation, and because of the aluminum component in it, it also has good oil resistance and softness. 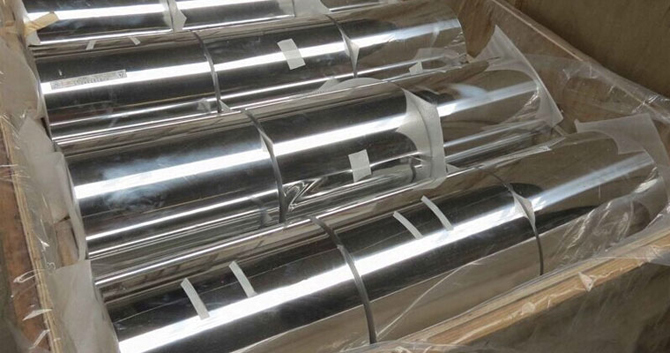 Aluminum foil packaging bags have strong air barrier, anti-oxidation, waterproof, moisture-proof, strong mechanical properties, high explosion resistance, puncture resistance and tear resistance. Aluminum foil packaging bags have good heat resistance, low temperature resistance, oil resistance and fragrance retention. It is non-toxic and odorless, and meets the hygienic standards of food and drug packaging. Good heat sealing performance, flexibility, high barrier performance. 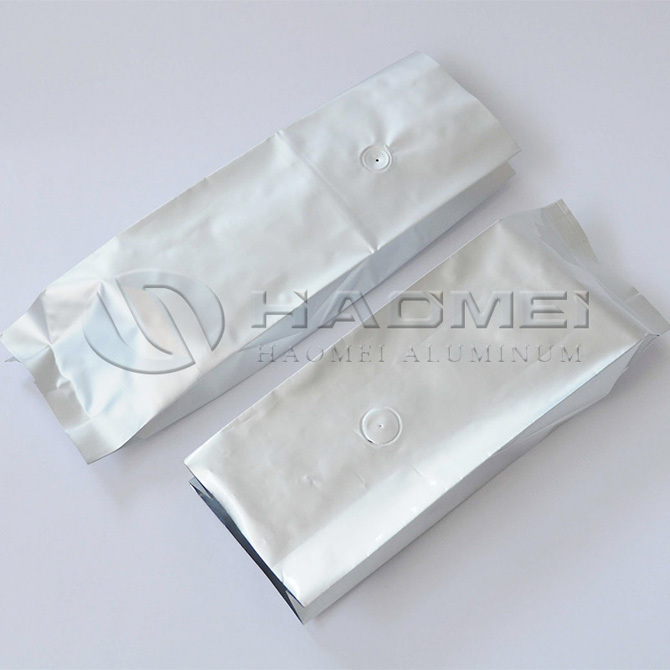 Aluminum foil packaging bags are suitable for packaging various circuit boards, electronic products, precision machinery accessories, consumer goods, industrial products, etc. For example: PC board, IC integrated circuit, electronic components, SMT patches of all kinds of LED wilderness, lamp packaging, precision hardware, auto parts and other packaging. Aluminum foil for food packaging: rice, meat products, dried fish, aquatic products, roast duck, frozen food, condiments, etc., fragrance preservation, quality preservation, flavor preservation, color preservation. Aluminum foil thermal insulation can be used to multiple places where it can be found useful for stopping unwanted heat gain or heat loss. Aluminum foil insulation works effectively and efficiently and prevents the transmission of temperature that at the end results into wastage of energy. Not your typical aluminum foil, our aluminum foil insulation is comprised of two layers of highly reflective aluminum reinforced with polyethylene woven fabric that gives the aluminum insulation an incredible tear resistance factor making it more durable that most radiant barriers in the market place. The barrier properties and heat reflectivity of aluminium foil are widely used in building panels to improve insulation performance in modern building systems. Aluminum thermal insulation is work on the radiant barrier principal that reflects the temperature and sun rays back to atmosphere from where they are coming from. And it works in both hot and cold environment by reflecting high temperature rays to the direction of source. The same can enhanced with the use of polyethylene bubble insulation film that sandwiched between the aluminum foil. 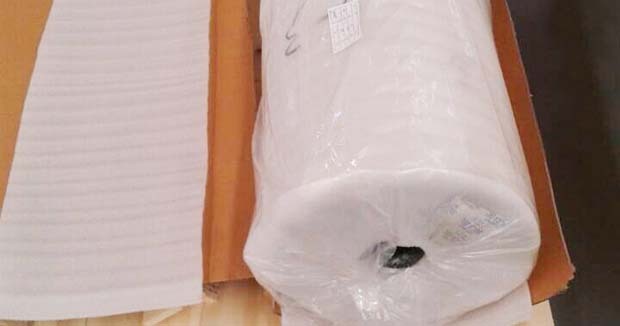 Though aluminum insulation reflects around 97 percentage of sun rays and radiant heat, remaining can be stop passing to home by air bubble film. And this is why most of the radiant barriers are the best choice for home and industrial temperature insulation. Aluminium foil is used as a skin for heat-insulating and incombustible materials to provide high performance insulation for pipe work and ducting. The adhesive tape used to secure the laminated material is based on aluminium foil or its reflective surface, corrosion-resistance and long life. In electrical cables, aluminium foil helps give long-term insulation against moisture and attack from naturally occurring corrosive elements found above and below ground. Aluminium foil also acts as an insulator against the magnetic and radio frequency emissions associated with electrical cables. As a sheath for fiber-optic cables, aluminium foil uses its electrical conductivity to act as a “tracer” to enable testing of the integrity of cable links – as well as helping to provide the long-term protection every cable needs. In fire walls for vehicles and fireproof doors and building panels, aluminium foil stops access to the oxygen required to support flames. This aluminum roof insulation is used to provide protection against the higher cold also as it reduces the temperature loss to outers surface of the home roof or wall. Particularly for the building that are made with higher amount of glass or steel. Whatever needs to be of keeping the close room at a constant temperature, it can be benefited with the use of radiant aluminum foil. Studies have shown that radiant heat transmission is responsible for the highest amount of heat gain or loss in the building structure. During the hard summer, the ceiling or roof and wall of the building absorb radiation from the sun rays and transmit it inside the home. The same heat is then transmitter towards the attic room. However, most of the sun rays and heat is transmitted outside when radiant aluminum foil insulation is used. Also during the colder period the same thermal barrier stops the wastage of energy by reflecting cooler temperature towards the interior of the building. A properly installed aluminum thermal barrier stops 97 percentage of the heat transfer and saves money and energy both.